The 3-D illustration icons were produced for a promotional leaflet of Qript, Inc.'s business instant messenger application "Yocto Secure Messenger." They were produced with a high resolution of 1000x1000 pixels. 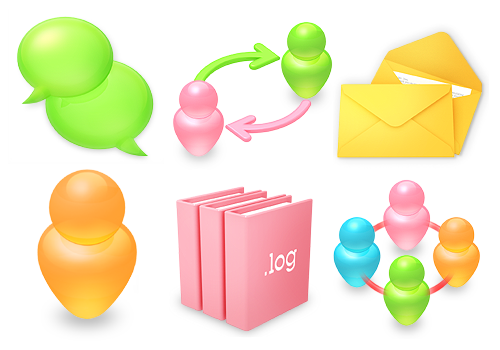 There were seven kinds of icons such as grouping, file transfer, and logging that represented the functions of Yocto messenger.